REWARD FOR EFFORT (AUS) (Bay 2006-Stud 2011). 4 wins-2 at 2, MRC Blue Diamond S., Gr.1. Sire of 308 rnrs, 177 wnrs, inc. SW Gold Symphony (MRC Vain S., Gr.3), Ability, Brugal Reward, Take Pride, Blondie, Dalradian, Desert Lashes, SP Gratwick, Jumbo Luck, Tuff Bickie, Fancy Rumble, Sheriff John Stone and of Effortless Reward, Hell of an Effort - D'Great Effort (Mal. ), Jevilla, Montana Star - Star Superior (H.K. ), Petite's Reward, Copy Boy, etc. OUR GIRL CHARLIZE, by Stratum. 5 wins from 1200m to 2200m, A$161,160, ATC Tooheys New H., HMAS Vendetta H., Liberty International Underwriters H., 2d ATC Michael Seach H., Tab.com.au H., Styletread.com.au H., 3d ATC Vale Bob Rowland-Smith H., Randwick Betting Auditorium P., Rose of Mooncoin H. Half-sister to I Command, I'm No Phony. Dam of two foals, one to race. I Command (Commands). 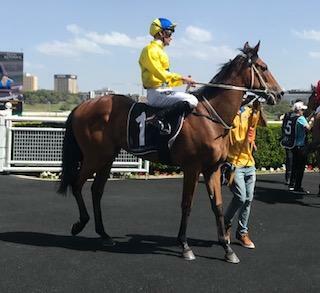 8 wins-1 at 2-from 1000m to 1600m, A$359,975, MRC New Gleam H., Baryshnikov H., WATC Brechin Castle H., EO Norton Memorial H., Swinging in the Saddle H., Carlton Mid H., Redback Cristal H., 2d WATC Easter S., L, Bunbury S., L, MRC Dennis Hanrahan H., Geoffrey Bellmaine 2YO H., 3d VRC Anzac Day S., L, WATC Northerly S., L, Cyril Flower S., L, Kalgoorlie Boulder RC Boulder Cup, L, 4th VRC Gibson Carmichael S., L.
I'm No Phony (California Dane). 3 wins at 1000m, 1400m, 3d ATC Breeders' P., L.
Zaphod. 11 wins from 1000m to 1850m, A$86,020, to 2018-19 in Aust. Blazing Beau. 2 wins at 1200m, 1400m in 2017-18 in Aust. Eyezoff. 2 wins-1 at 2-at 1250m in Aust. Muscular Sprinter. 2 wins at 1200m, 1400m to 2018, Singapore TC Class 5 H., 2d Singapore TC Graduation S.
ALLERGIC (Street Cry). 8 wins from 1750m to 2400m, A$690,445, ATC Colin Stephen H., Gr.3, 3d ATC Metropolitan H., Gr.1, South Australian Derby, Gr.1, ATC Sky High S., Gr.3. ABIDEWITHME (Redoute's Choice). 9 wins from 1200m to 2000m, NZ$416,200, A$63,750, Cambridge JC Travis S., Gr.2, BOP RC Tauranga S., Gr.2, 2d Te Aroha JC New Zealand Thoroughbred Breeders' S., Gr.1, Cambridge JC Travis S., Gr.2, ARC Westbury Classic, Gr.3, Sofitel Luxury Hotels S., Gr.3, 3d WRC Thorndon Mile, Gr.1, Te Aroha JC New Zealand Thoroughbred Breeders' S., Gr.1. DESTINY'S KISS (Power of Destiny). 18 wins from 1500m to 3200m, A$1,439,793, to 2017-18, ATC Winter Cup, L, 3d ATC Summer Cup, Gr.3. MELT (Iffraaj). 4 wins-2 at 2-to 1200m, NZ$196,626, to 2018-19, ARC Eclipse S., Gr.3, Whangarei RC Northland Breeders' S., Gr.3, 2d Manawatu Sires Produce S., Gr.1, Hawke's Bay Guineas, Gr.2. ALWAYS CERTAIN (Not a Single Doubt). Champion Older Horse in Singapore in 2011 (Long). 8 wins from 1200m to 1800m, S$1,230,924, Singapore TC Committee's Prize, L, 1600m-in track record time, Raffles Cup, L.
SPLURGE (Savabeel). 8 wins from 1200m to 1600m, NZ$234,300, to 2017-18, Manawatu Challenge S., Gr.2, ARC Darley P., Gr.3, Cambridge JC AON Insurance Brokers H., ARC Shaws Wire Ropes H., Ophthalmic Instruments H., 2d ARC Eagle Technology S., Gr.3, 3d BOP RC Quickcount H., Chesters Plumbing and Bathroom H.
PACKING PINS (Pins). 7 wins to 1400m, NZ$122,750, HK$8,586,500, to 2017-18, Rotorua RC Arawa S., Gr.3, 2d ARC Railway S., Gr.1, Waikato Sprint, Gr.1, 3d HKJC Champions Mile, Gr.1. SACRED FALLS (O'Reilly). Joint Top Older Male of 2013-14 Australasian Classification (Mile). Top on the 2012-13 NZ 3YO Free H (1200m-1600m). 9 wins-2 at 2-from 1000m to 1600m, NZ$378,435, A$4,400,300, ATC Doncaster H., Gr.1-twice, George Main S., Gr.1, New Zealand Two Thousand Guineas, Gr.1, Hawke's Bay Guineas, Gr.2, Waikato RC James & Annie Sarten Memorial S., Gr.3, Whangarei RC Westbury Stud Challenge S., L, Waikato RC Shaune Ritchie Racing Stables 2YO H., 2d ATC Queen Elizabeth S., Gr.1, Rosehill Guineas, Gr.1, 3d MVRC Schweppes Crystal Mile, Gr.2, 4th ATC George Ryder S., Gr.1, Canterbury S., Gr.1.